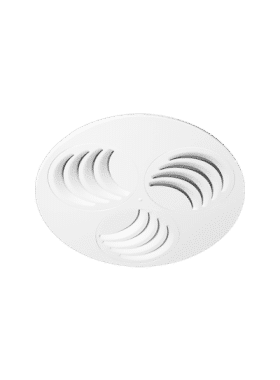 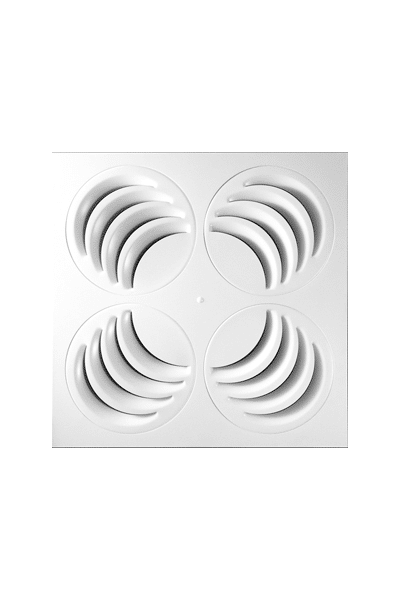 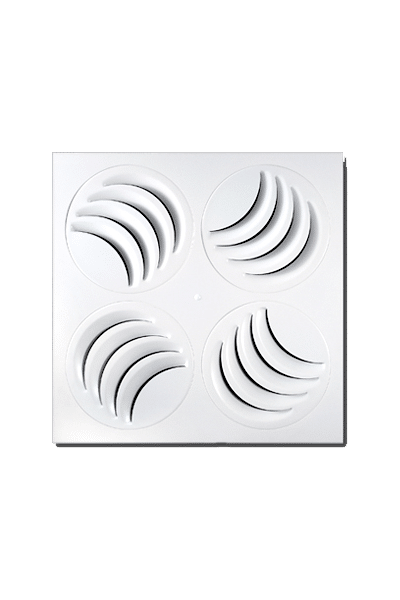 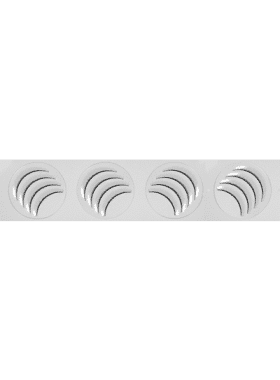 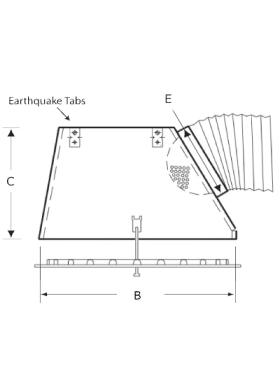 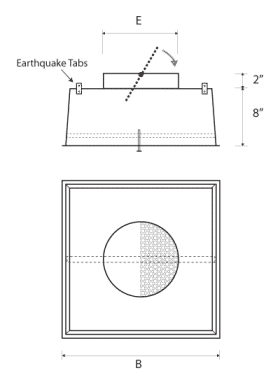 PLAY-S Adjustable Sectors Square Diffuser comes in 24″ x 24″ (605 mm x 605 mm) face dimension and is suitable for both lay-in and drywall installations. 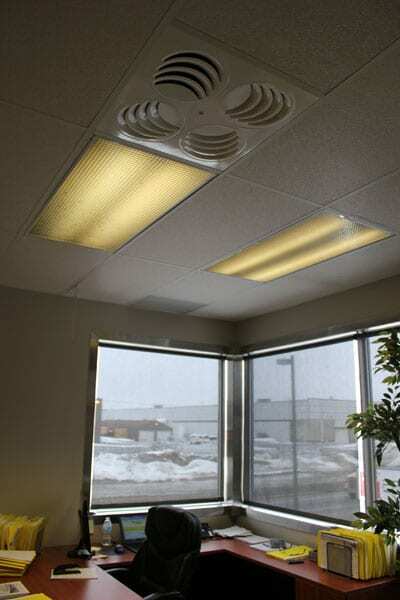 Recommended for air volumes between 150 cfm and 400 cfm. 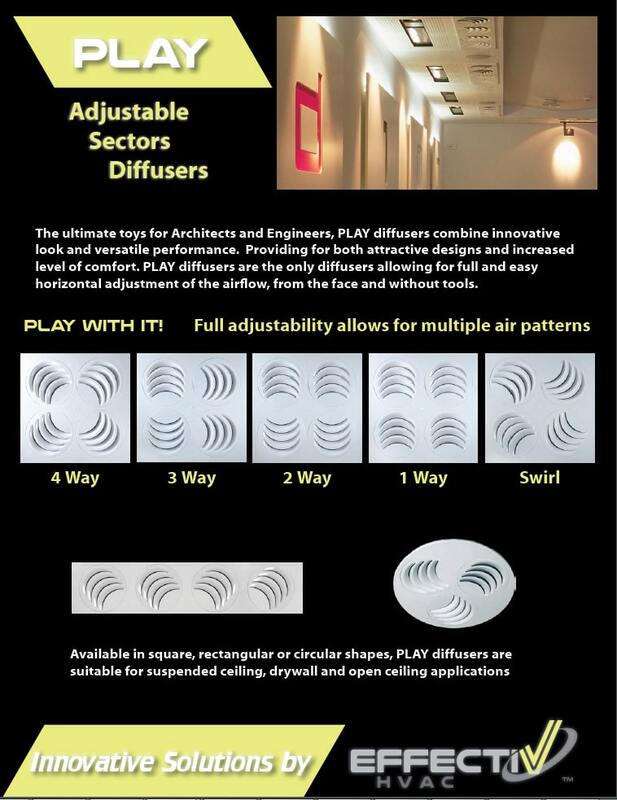 PLAY is also available in round (PLAY-C) and rectangular (PLAY-R) shapes. 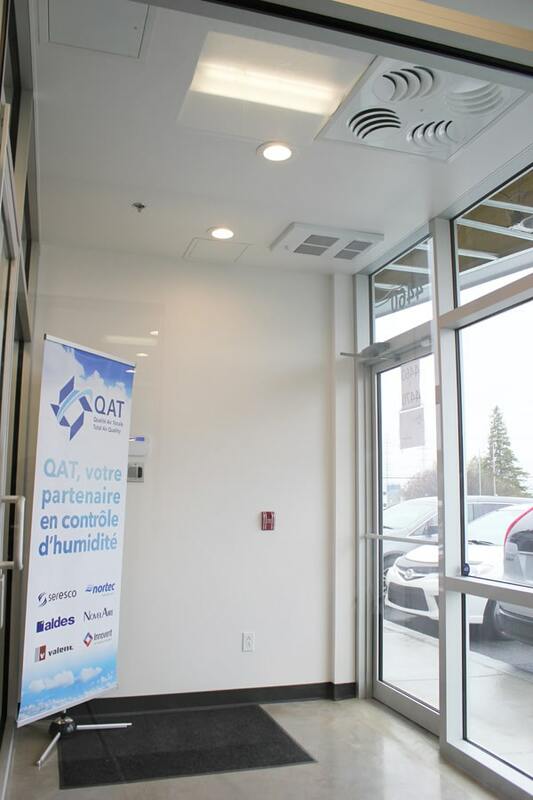 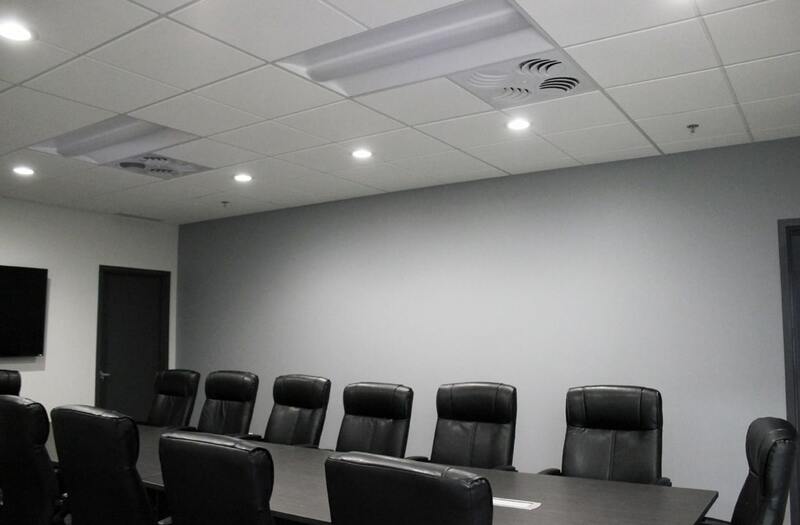 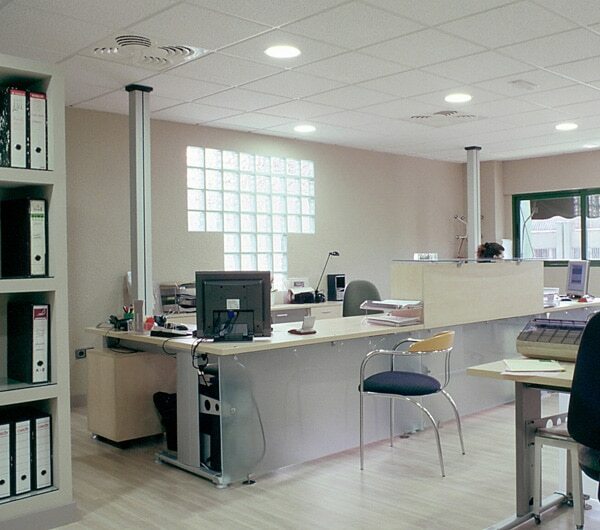 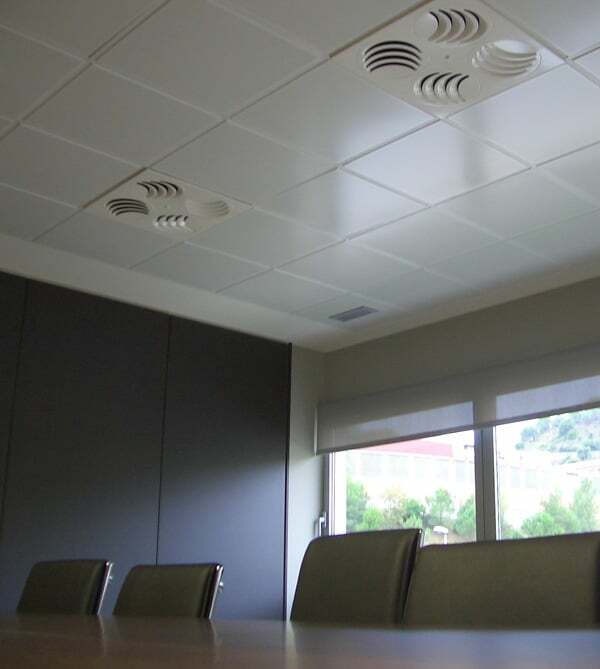 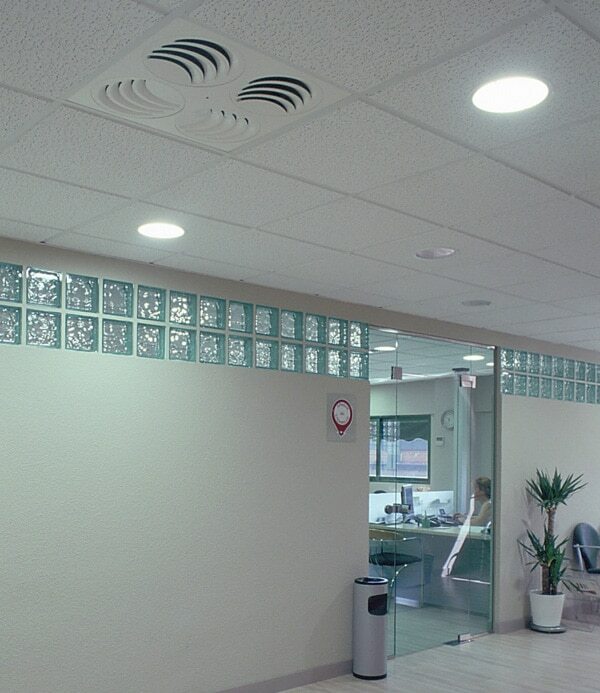 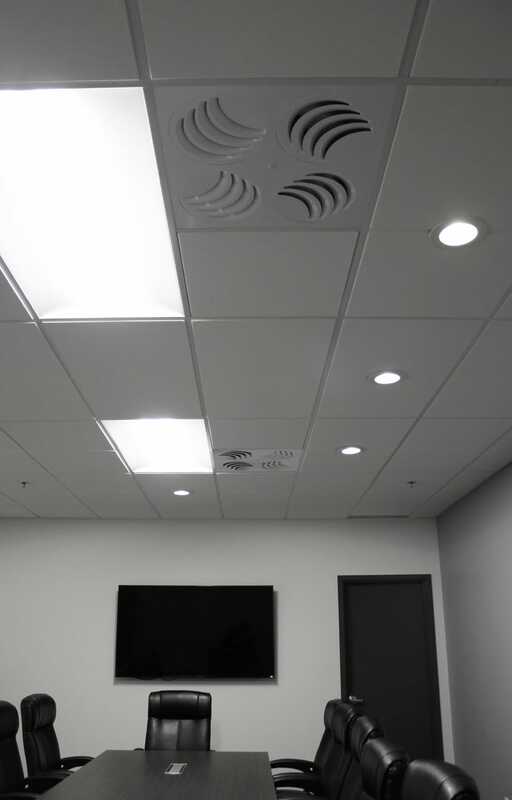 PLAY-S Adjustable Sectors Square Diffusers can also replace most standard diffusers in existing office ceilings to fix air distribution-related discomfort, particularly air drafts. 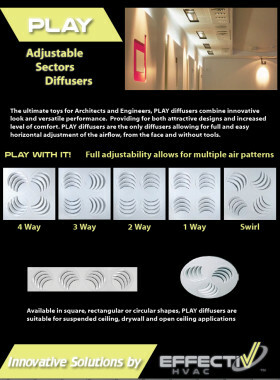 All you have to do is replace your diffuser with the PLAY, and PLAY with it until everyone is comfortable!